Do you find Canadian English different from what you’ve learned in the past? Are you nervous about speaking English with your classmates and roommates? English Corner is here to help! 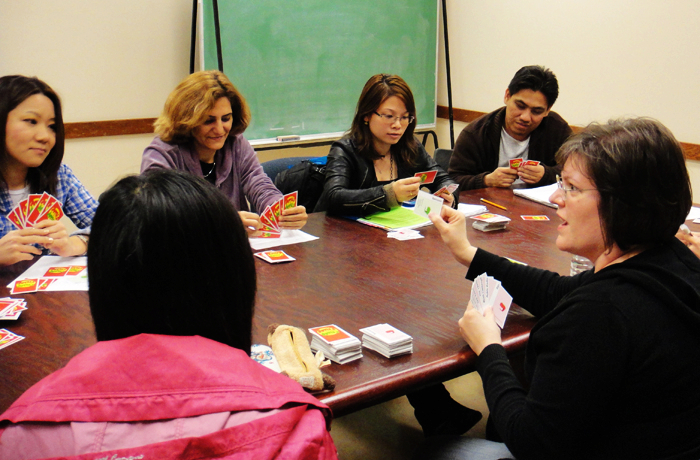 English Corner is a weekly, non-religious group where you can discuss English idioms, learn new vocabulary and slang, practice Canadian pronunciation, and participate in other activities to help you become more comfortable using your conversation skills. We also discuss cultural issues that can help you adjust to living in Vancouver. You are invited to come talk with native English speakers and meet other people from around the world. It’s a great place to make new friends and connect with people outside your faculty. The requested donation of $5.00 per semester covers the cost for material and special activities. 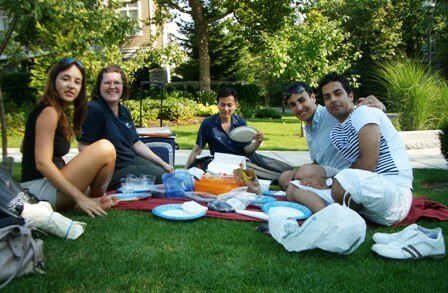 To enhance the Canadian cultural learning experience, the English Corner group is invited to various holiday meals, festivals, and other gatherings. We are always looking for ideas for a fun outing, so feel free to suggest an activity. Neville Scarfe Building at UBC – Room 1004. Each Tuesday 6:00-8:00 p.m. September through December 4 and then again Jan – April. May – August we will not have our weekly meeting. Instead we will plan outings to interesting places in Vancouver, festivals, parties, etc. Email suzanneperry.ca@gmail.com to be added to the mailing list so you will know where to meet us during the summer months. Everyone is welcome! We have members from many different countries–many are UBC students (undergrad, graduate students, and post docs), but we also have members who live nearby but are not students. A donation of $5.00 is requested one time each semester, to cover expenses. This donation can be made at any time during the term.